HE NEW ULTIMATE DOBSONIAN IS BORN!! 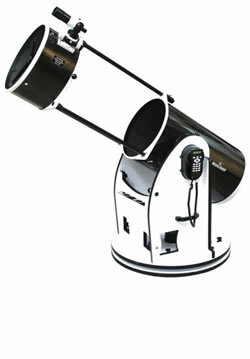 Sky-Watcher are proud to introduce a new range of truss-tube dobsonian models. The new FlexTubeTM Dobsonians all feature retactable OTAs, making them easy to transport and store, offering the ultimate flexibility for owning an otherwise large telescope. They all feature 2-part telescope tubes attached with 3-arm supports. When in use the tube is fully extended and each arms axis is clamped to ensure a rigid optical system. After use, the clamps can be loosened and the tube retracted into a convenient compact size. Owning a large telescope has never been so easy!! 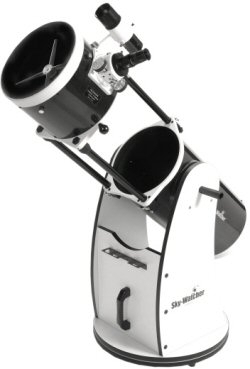 All Sky-Watcher Dobsonian models feature 0.5mm Ultra-Thin Secondary Mirror Supports to reduce diffraction spikes & light loss, and high quality Paraboloidal primary mirrors to eliminate spherical aberration. 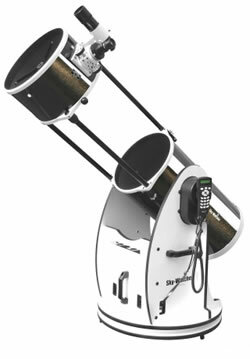 All Sky-Watcher Dobsonian Reflectors feature High Quality Parabolic Primary Mirrors to eliminate spherical aberrations. The mirrors are parabolized to bring all the light rays to the same focal point to produce sharp, contrasty images, which are full of detail. Truss Dobsonian telescopes are ideal transportable large telescopes ideal for deep sky observation and very affordable too! 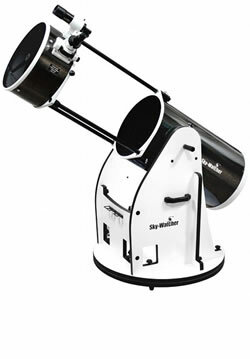 Sky Watcher are proud to introduce a new range of truss tube dobsonian models. The new FlexTube Dobsonians all feature retactable OTAs, making them easy to transport and store, offering the ultimate flexibility for owning an otherwise large telescope.